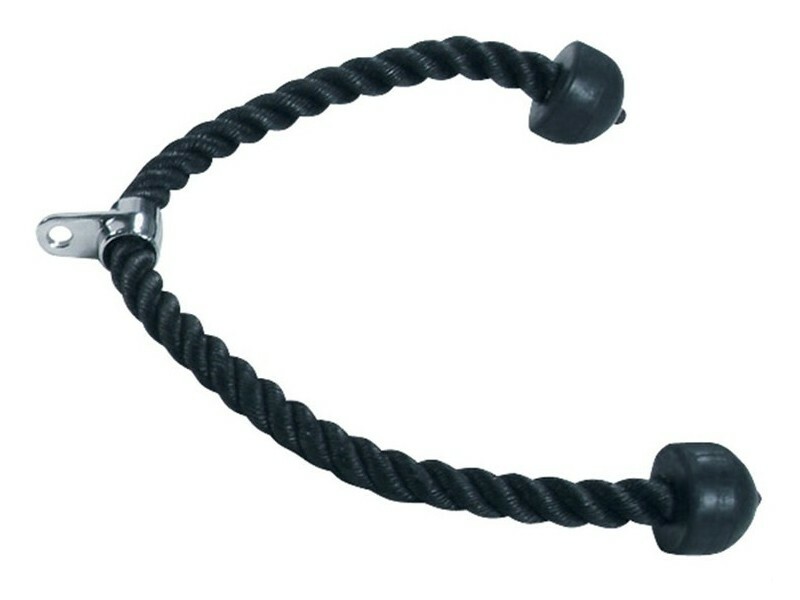 A heavy duty 26" long nylon rope for dual-arm tricep pressdowns on a cable weight machine. 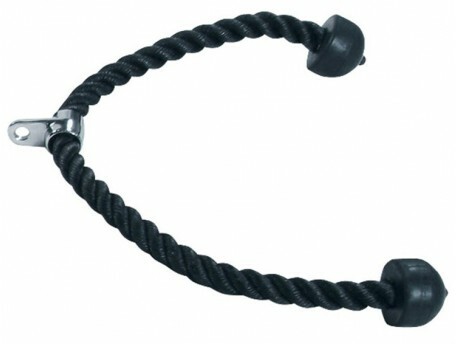 In the middle of a rope is a steel eyelet compatible with virtually any lat pulldown or cable crossover machine. At the ends of the rope are rubber stoppers for your hands to rest against. You can either use the stoppers to your advantage or move your hands further up this rope closer to the eyelet for a more demanding grip workout. See the below video for a demonstration using a similar rope. Keep your elbows in, and keep your back and shoulders in good posture.